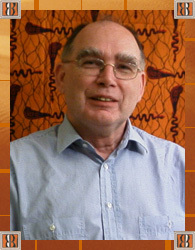 Piet Konings is a sociologist of development. He has carried out extensive research on labour and trade unionism, rural development, and political processes in Africa. His current research interests are: (i) political change and regionalism in Cameroon, with particular reference to the anglophone problem, and (ii) the search for a new trade union identity during economic and political liberalization in Africa. 2004 - Konings, P.J.J. ; Nyamnjoh, F.B. 2004 - Jua, N.; Konings, P.J.J. 2003 - Konings,P.J.J. ; Nyamnjoh,Francis B. 2000 - Binsbergen,W.M.J.van; Konings,P.J.J. ; Hesseling,G.S.C.M. 23. Construction and deconstruction: anglophones or autochtones? 2000 - Konings, P.J.J. ; Nyamnjoh, F.B. 1997 - Konings, P.J.J. ; Nyamnjoh, F.B. 1993 - Konings, P.J.J. ; Geschiere, P.L.